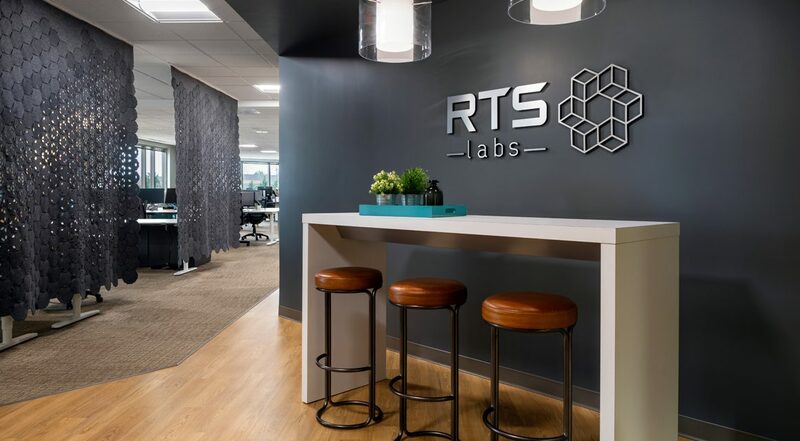 SMBW was engaged to provide workplace strategy and interior design services for RTS Labs: a high-growth software development & data and analytics company. 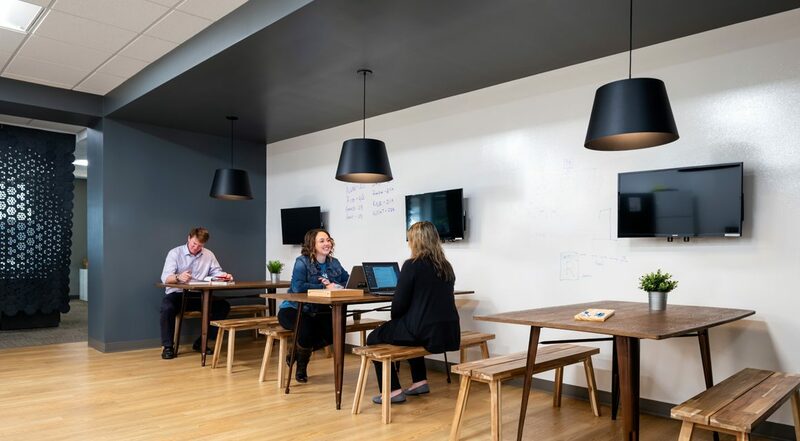 Their new 9,830 SF Richmond office suite features an open, collaborative office space with meeting rooms and open lounge space at the core to accommodate multiple meeting styles and provide private zones for heads down work. 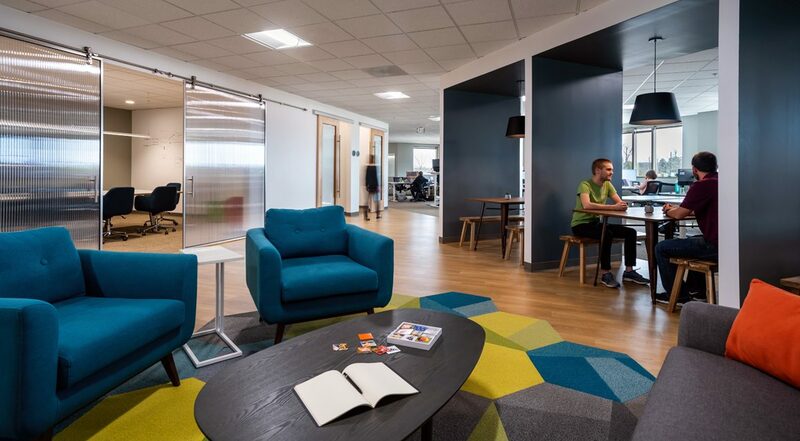 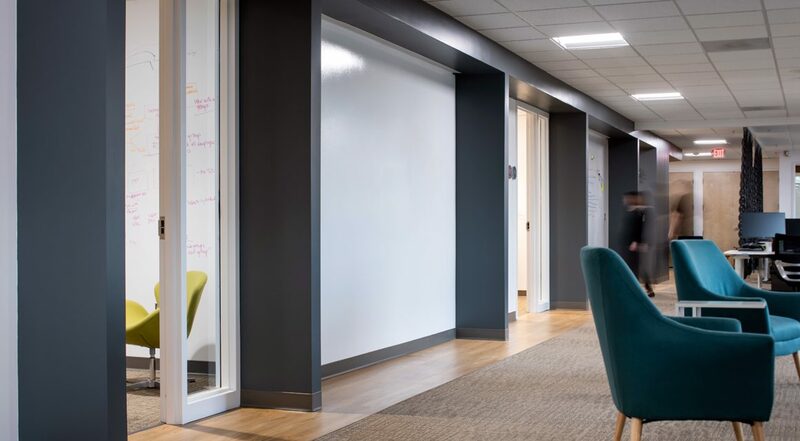 Working within the framework of existing flooring and ceiling finishes, SMBW strategically added vinyl wood planks to add warmth and define a path to the work lounge and large conference room. 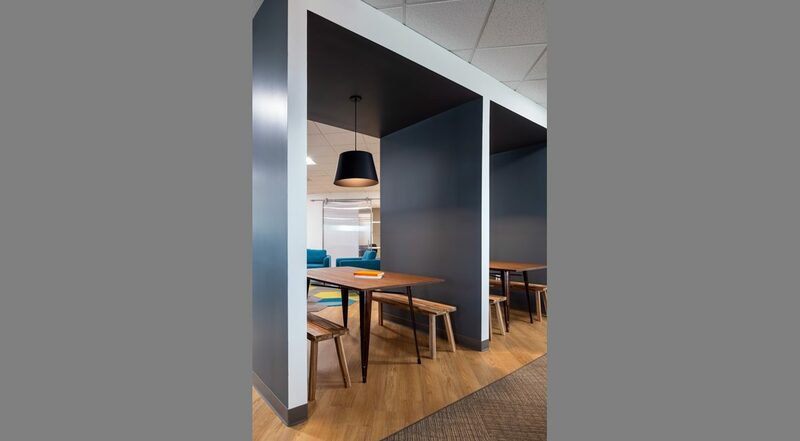 The furniture blends new and existing, commercial and residential grade.